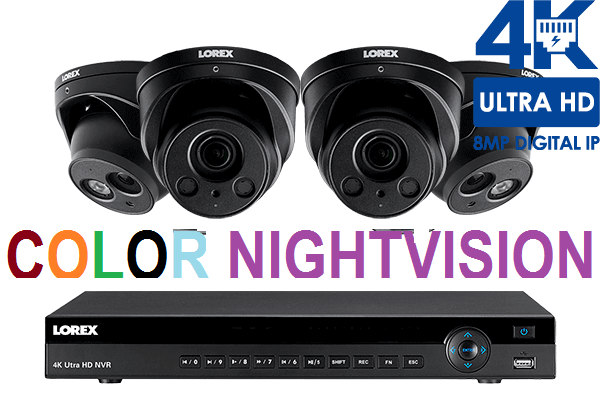 Know that your property is protected while you’re there and while you’re away thanks to this Nocturnal security camera system from Lorex. 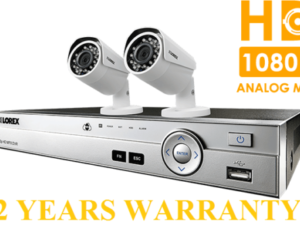 This system combines two different sets of powerful Nocturnal security cameras and a powerful eight channel NR900 Series Network Video Recorder (NVR). Along with 4K recording resolution, the longest night vision ranges available, and extreme weather performance, both sets of dome security cameras include a built-in microphone for listen-in audio capabilities. The LNE8974AB security cameras also include a motorized zoom lens that allows you to adjust the camera’s field of view to suit your monitoring needs. These features, plus four open channels on the NVR, makes this an incredibly versatile security system perfect for any home or small business. 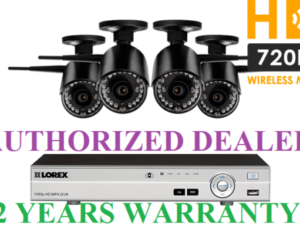 Both sets of dome security cameras included in this system use an 8.51 MP image sensor. This sensor is capable of producing exceptionally sharp 4K video that will give you the best chance to capture distinct details, such as facial features. Both sets of dome cameras included in this system are capable of recording audio thanks to their built-in microphone. Audio monitoring can provide you with more information (such as voices) and can even help provide more insight into key events, even if they occur off-screen. 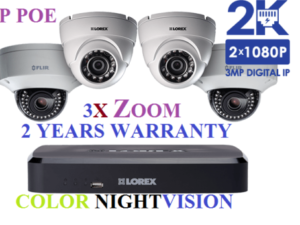 The LNE8974AB security cameras come with a unique zoom lens. Otherwise known as a motorized varifocal lens, this type of lens enables remote customization of your field of view (and focus). This means that you can either focus on a small area in astonishing detail thanks to the 4× optical zoom or survey a larger scene for maximum coverage. These adjustments can be easily made with your NVR or through our free mobile apps. 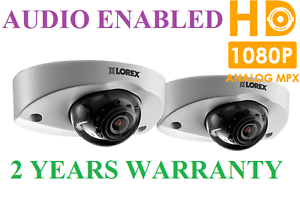 Both sets of dome security cameras have been rigorously tested to ensure that they can endure freezing temperatures. These cameras will continue to operate in temperatures as low as -22°F / -30°C. Some tests even saw this camera continuing to record in much lower temperatures (-40°F / -40°C) as well. A reliable 2TB security certified hard drive come pre-installed in your NVR. This is not your typical household hard drive. It is specifically engineered for security purposes and can continuously record footage without a break. If desired, you can install two 6TB hard drives within this NVR for a total of 12TB.